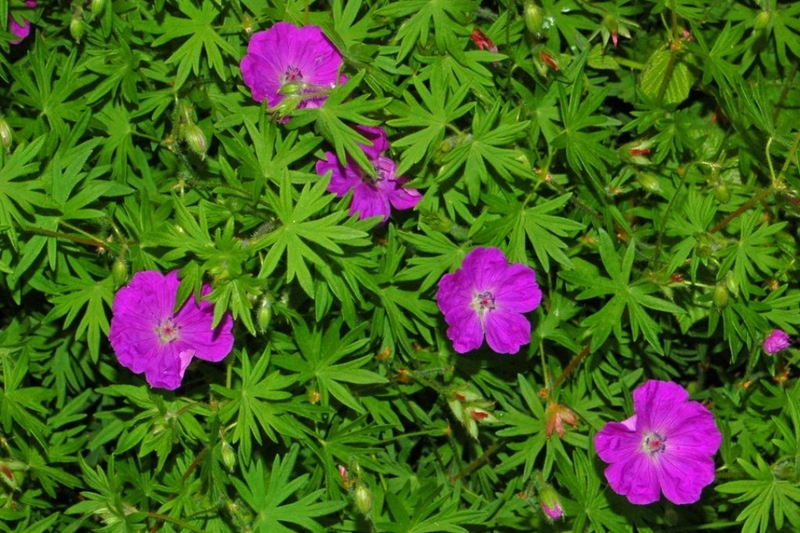 Bloody crane's-bill (Geranium sanguineum): growing, planting, caring. 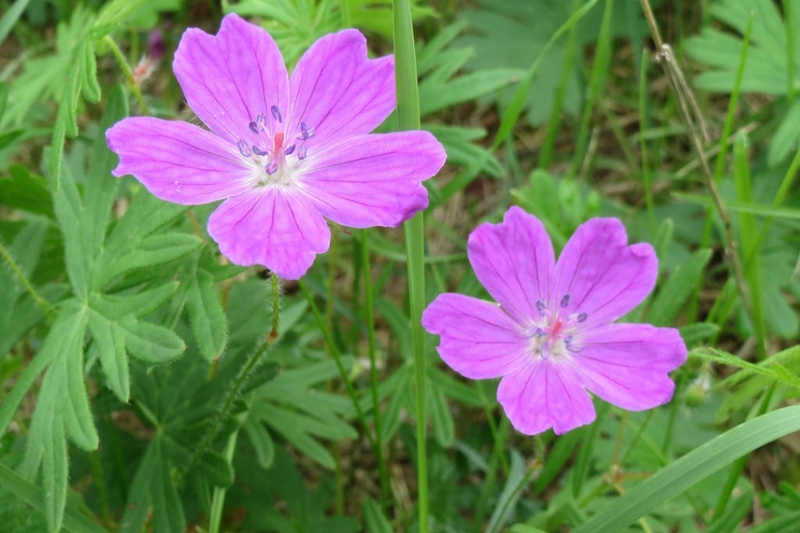 A spontaneous and protected wild species of geranium with red pink flowers. Full description for Geranium sanguineum not yet available. 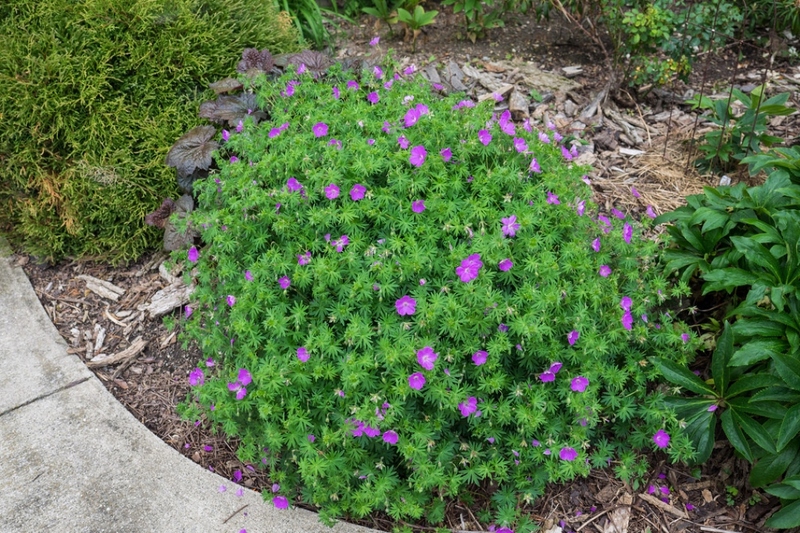 Geraniums are small, hardy perennials with more or less persistant foliage. The leaves are rounded and split either into palms or five points. The flowers may be flat or star-shaped, and come in shades of pink, purple, blue and white. 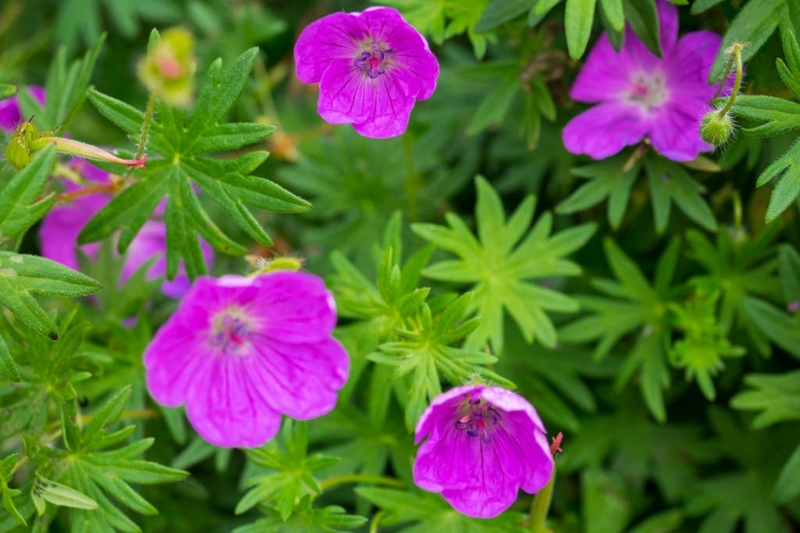 You may plant perennial geraniums in autumn or spring. Leave a space of about 80 cm around and between each plant Prepare the soil with some light digging (to decompact without necessarily turning it over with a pitchfork or broadfork), hoeing, and raking. When planting, leave approximately 20-20 cm between plants. Tamp the soil down well so that the roots are not in contact with air, then water generously. Water when the plants are in bloom, keeping a particularly close eye on potted plants. Always thoroughly water adult plants even if that means doing it less often; the plant will develop a better root system if it must look for water deep underground. "Thoroughly" means that the water you pour is no longer absorbed by the soil and forms a little puddle. Unless otherwise stated, never wet the foliage: plants "drink" with their roots. The seedlings need to be watered with a light shower so as to not turn over everything. Keep them constantly moist to encourage germination. It's easiest to multiply your geraniums by dividing the tufts in spring, which will also allow them to air out a little. You can also multiply your geraniums by sowing outside in an earthenware pot, either in spring or at the height of seed maturity.